The Huntington Opportunity Resource Center will be holding a Job Fair on Wed., October 26th from 9-12 PM. Meet with recruitment agencies and employers from different industries. No registration necessary! Come prepared in business attire and bring copies of your resume. Don’t have a resume? No problem! Stop by the Resource Center and prepare one with someone from The Department of Labor on Tuesday's & Thursday's from 10-3 PM. 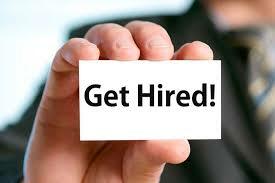 If you are in need of proper interviewing attire, please contact Career Couture at (631) 853-6769. For more information about the Job Fair please call (631) 385-2305.